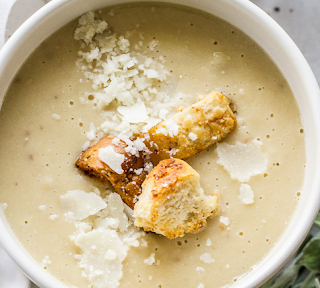 One spoonful of this hearty soup will transport you to a rustic Tuscan village in the midst of olive groves and vineyards. 1 Place the beans in a large heavy kettle over high heat. Add the water, cover, and bring to a boil. Reduce the heat to low and simmer, stirring occasionally, for about 1½ hours or until the beans are tender. 2 Add the onion, carrots, celery, sun-dried tomatoes, rosemary, vinegar, and salt to the kettle. Simmer another 30 minutes or until the vegetables are tender. 3 Serve piping hot, topped with a sprinkling of white pepper.